11 McMonster X Rx Collab stickers illustrated by McMonster and screen printed by Rx. 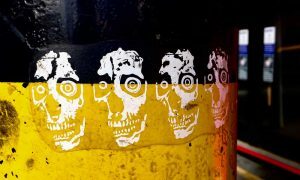 Skull and crossbones and illustrated McMonster font are also removable stickers. Choice between red and black on white and orange and black on white. Every order comes with one full sheet and a smattering of individual collabs in varying colorways. 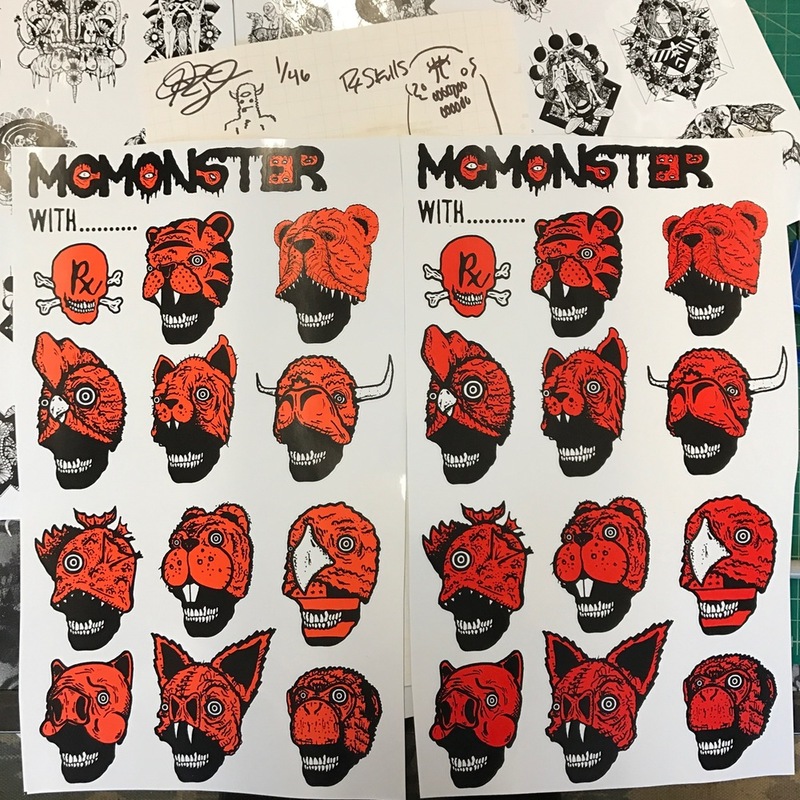 Every sheet is numbered on the reverse as well as signed and doodled by Rx and McMonster.